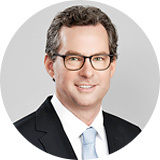 Martin Mayer studied business administration at the Vienna University of Economics and Business and following this, worked in international business consulting for a number of years, and was part of the board of management of a large Austrian bank. In 2000, he entered the company founded by his mother and took over the role of managing director and developed Iventa into a market-leading human management consulting company in Austria. In the 15 years since, he was significantly involved in the design of the HR consulting industry in Austria, and also works for a number of Austrian and international business advisory boards.